Translated from German as “the people’s car,” that is what Volkswagen has exemplified during its long, checkered and yet proud history as a global brand. The original Beetle was a success right out of the gate, and when production finally ceased in 2003, over 21 million had been sold worldwide. Volkswagen hit the mark once again when it introduced the first generation Golf and sporty GTI, which popularized the hatchback for the masses. While Volkswagen’s compact cars have always been popular with buyers, the brand has broadened its lineup over the years. Volkswagen entered the sport-utility vehicle marketplace in 2002 when it introduced its Touareg SUV, and later the Tiguan compact crossover for 2009. Whether it is a small fuel friendly hatchback, or a family-friendly SUV, Volkswagen continues to build vehicles that are enjoyable to drive, yet still practical for everyday life. 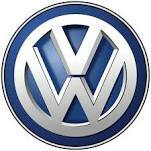 Perrysburg Auto Mall offers a wide selection in new Volkswagens to fit your needs. Regular maintenance is an important part of vehicle ownership. At Perrysburg Auto Mall, we have all the tools necessary to keep your vehicle running like new. No one knows Volkswagen vehicles better than Volkswagen-Certified Technicians. Every factory-trained tech has the hands-on experience to know your car inside and out. When it comes to service, Volkswagen of Perrysburg has everything your Volkswagen needs, including knowledge of the service your car needs throughout its lifetime.